La Jolla Groves - Enjoy Fine Dining Under The Lemon Trees In Provo! It’s time to get away, to take a moment to breathe, relax, and savor delicious food in great company. At La Jolla Groves, we transport you to the Isle of Capri, where sun-warmed lemon trees form a protective bower under which you can unwind, take your time, and be reminded of the good things in life — a great bottle of wine, a stunningly flavored dish, and the smiles of your loved ones. When you step over our threshold of our fine dining establishment, we want your shoulders to relax and your mouth to water because you know we’ve won Utah’s Best of State four times, and we won’t let you down. 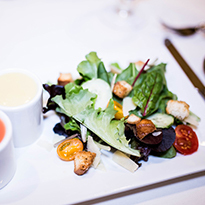 The mouthwatering salads, soups, and entrees at our Provo Restaurant are created with the freshest ingredients we can find. We celebrate the healthfulness of whole fruits and vegetables, locally sourced whenever possible. 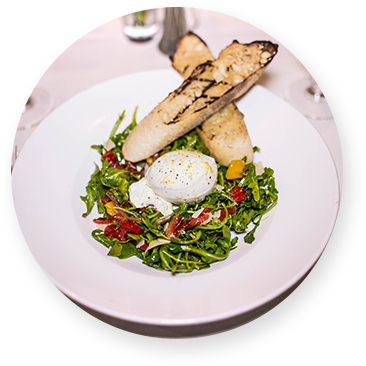 With our carefully curated menu celebrating the best of American contemporary cuisine and fine dining, you’re sure to discover a new favorite dish each time you visit. 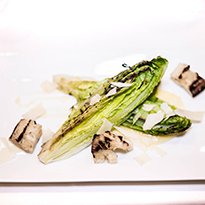 An exquisite experience is one of the hallmarks of our Utah Valley restaurant. When you’re with us, you’ll feel transported to the lemon groves of the Isle of Capri. Our fine dining room, as well as our private dining rooms, provide the perfect atmosphere for a romantic dinner date, a family celebration, or lunch with friends. As the best restaurant in Provo, our goal is to make your visit the highlight of your day. Our gracious staff will go out of their way to ensure that you have a delightful, memorable meal. From the moment you enter our luscious lemon groves to the moment you leave, your satisfaction and comfort are our first priority. 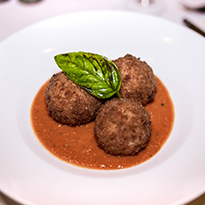 We offer the most flavorful, mouth-watering, and satisfying dishes in Provo. Take a look at our menu and then visit us so we can set your favorite dish in front of you. If you’re looking for a gracious, uplifting space to host any type of gathering or celebration, turn to La Jolla Groves. 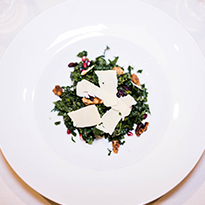 We offer four private dining rooms and an expert serving staff. We’re here to make you the most popular host ever. Your guests will love you when you serve our food! Let us bring delicious, affordable catered food to your event. Great food makes all the difference no matter what you’re doing. Get in touch with us to learn more about our menu, our event venue, and our catering services. We use 25 years of experience to offer the people of Provo an elegant oasis where they know they’ll be treated like family. We not only to transport our guests to paradise, we also tend to their every need, serve them world-class cuisine, and provide fantastic options for large gatherings. Whether you’re celebrating an anniversary over an intimate meal, working to impress potential clients, or feeding your entire extended family for a wedding, we have the staff, venue, and catering services required for an unforgettable fine dining experience in Provo.